Third “Talk & Ask Session” took place on 27th December 2018 with Mr Pratik Patnaik who works with a full service law firm in Mumbai, kindly accepted the invitation to be our guest speaker. He conducted this session on the topic: "MINEFIELD OF INDIAN REGULATIONS". Mr. Patnaik started with the basics and took a completely structured session of our employees and interns. In response we had extremely active participation from the attendees of this session, which was also evident in the keen and curious questions put up by them. Mr. Patnaik cleared all doubts and answered all question with elan. 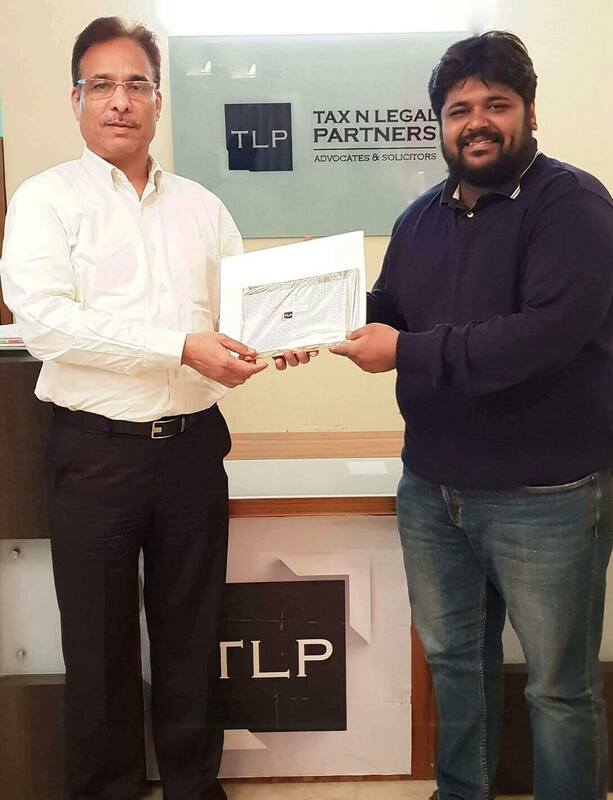 Tax N Legal Partners would like to extend a heartfelt thanks to Mr. Pratik Patnaik for coming all the way from Mumbai for this illuminating experience for all of us at TLP. In the picture, he is seen with Mr. Sharad Tewari our Founding Partner who welcomed him before the session.